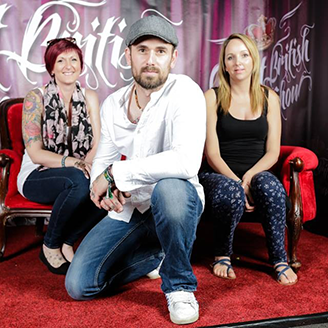 Steve Andrews, Tattoo Artist and founder of the Ink Room Tattoo Studio, He has been tattooing professionally for 7 years, working at a well established tattoo studio. Original apprenticeship at Steve's in Ipswich. It has been Steve's dream to set up this family run business, he has built up a large customer base over the years, with many happy customers, which has made this dream a reality. He enjoys a wide variety of tattooing, especially custom work and free hand to put his own mark on things. He's a friendly guy and would make anyone feel at ease, new or old to the world of tattooing! Giving great advice on what looks best but also valuing the customers decision on what they want done. He's happy for anyone to pop down and say hi and have a look at the studio. Get a few ideas and enjoy the friendly atmosphere, with no obligation. Please view the terms & conditions for getting ink before booking!